The Art of Letter Writing is What? I heard a very strange thing the other day. I overheard a conversation in which someone said “The Art of Letter Writing is dead and gone”. Can you imagine such a silly remark? A little earlier that very day I found all these letters in my mailbox. There was a big golden envelope from Markell who lives in Maryland. She wanted to share with me the wonderful newsletter she composes regularly for her extended family. Markell is quite the writer and she is also a professional editor. Her family is lucky to have her because she keeps them all connected. Then there was the postcard I received from Amy, a dear young woman who lives in Pennsylvania. She was excited to report the maiden voyage she and her husband took this year kayaking down the Delaware River. Amy and her husband are quite the outdoors people. I love her. I got another colorful letter from Janet. Janet lives in Virginia. I always spot her letters instantly as they poke out of my mailbox because Janet constructs her envelopes out of colorful calender pages. She’s quite the nature lover too and a wonderful photographer. But yesterday my most exciting find was a white legal-size envelope. It was most exciting because it came from a brand new correspondent. The envelope held a letter from a lady I recently met when I was visiting my son in California. The lady was Deborah from Santa Monica. I met her as she was sitting with her daughter at the next table in a charming French restaurant where my son and I were having lunch. I asked her to take our picture. 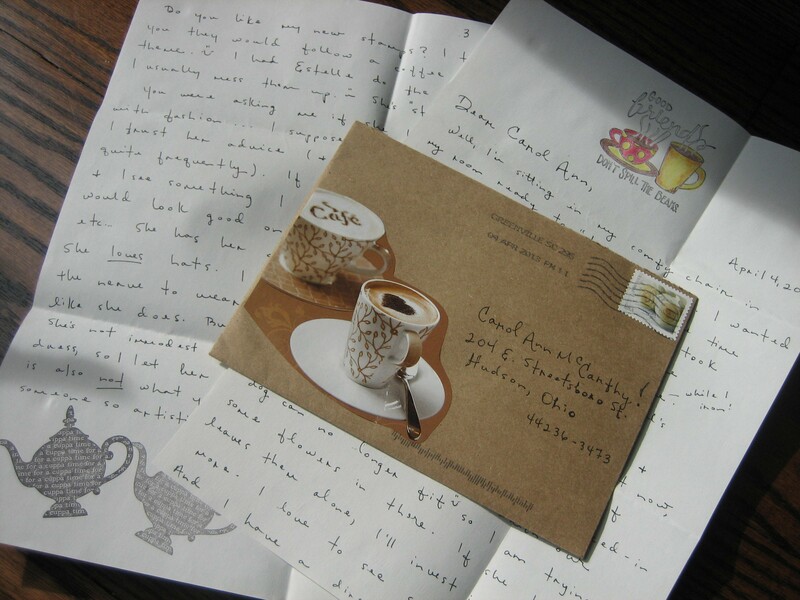 We began to chat, and one thing led to another until it was decided that we’d keep in touch by way of letter writing. I wrote Deborah and now she returned the favor. I was so delighted to hear from her! 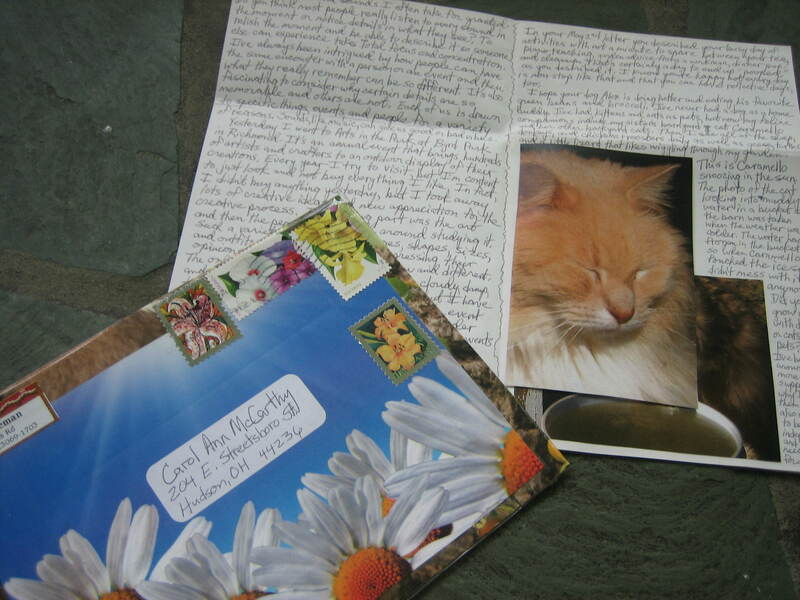 She composed a wonderful letter and even expressed interest in getting together when I return to California next month for my son’s graduation. You see, letter writing is hardly dead. 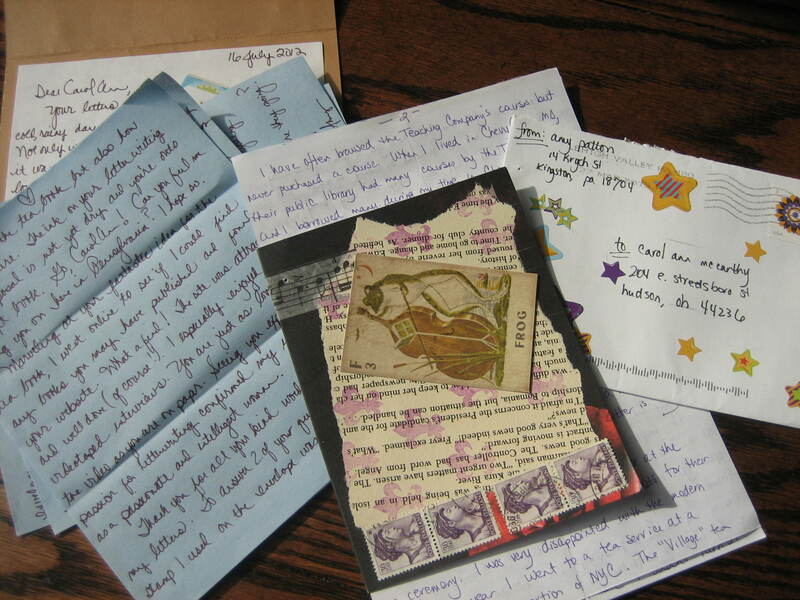 Letters come to me each and every day and I’m sending letters out into the world each and every day as well. Today I have a postcard going out to Joy in South Carolina and a letter going out to Wendy in Michigan. Lots of people are writing letters. 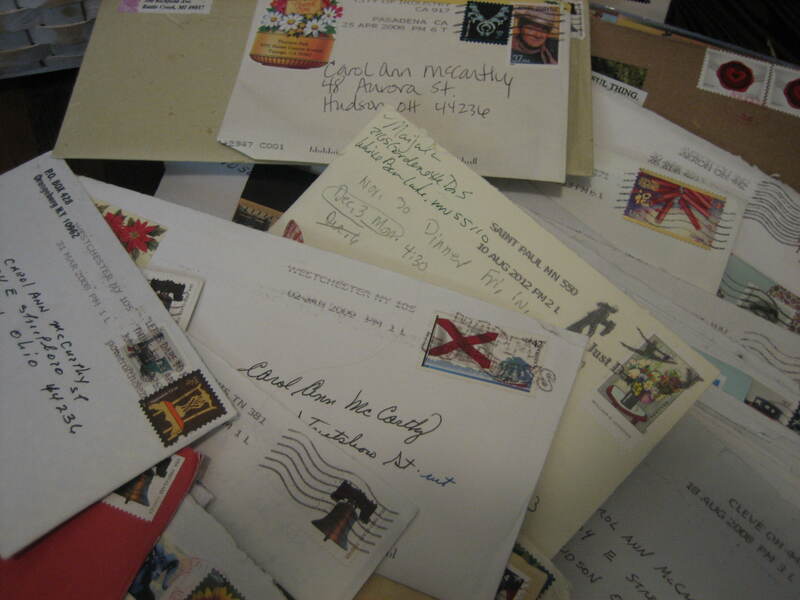 Take a look at just some of the letters I received in past months. The problem is that most letter writers are not talking about their fun. They’re just enjoying their correspondences silently. That’s probably why most modern people think The Art of Letter Writing is truly dead and gone, while others never discover letter writing in the first place. Out of sight means out of mind and out of mind means dead and gone to most people. What people are missing! Every morning I write one letter with my morning coffee. It’s such a nice way to start the day. Today my letter is going to Mary Lee in Charlottsville, Virginia. I usually enjoy a little art play too by creating a bit of color and design on my letter papers. Art play is fun and it’s very therapeutic. If you enjoyed art in school, or even if you didn’t, you’d be surprised how playing with color and design can entertain you and your letter friends. Technology is terrific, but artful it is not! 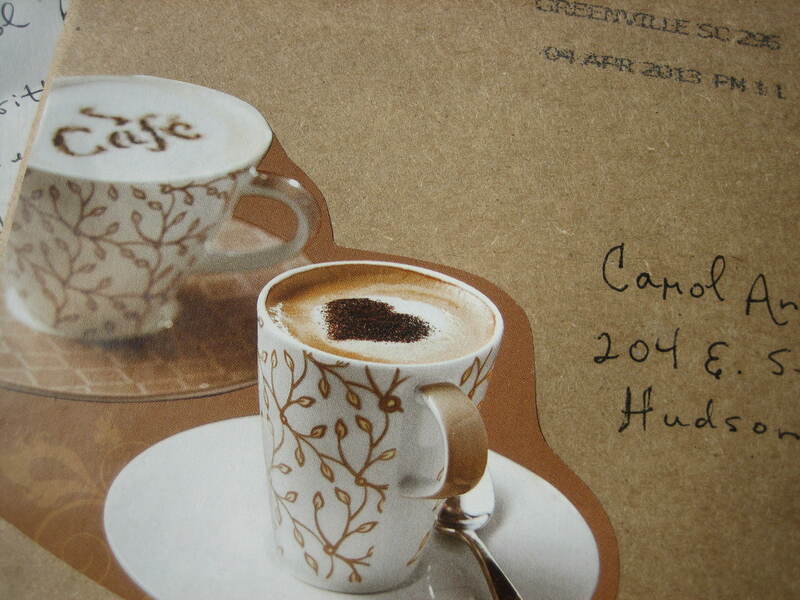 Recently my pen friend Patricia from Columbus, Ohio, sent me a lovely book filled with inspiring artful ideas. It’s called ” The Handcrafted Letter” by Diane Maurer-Mathison. 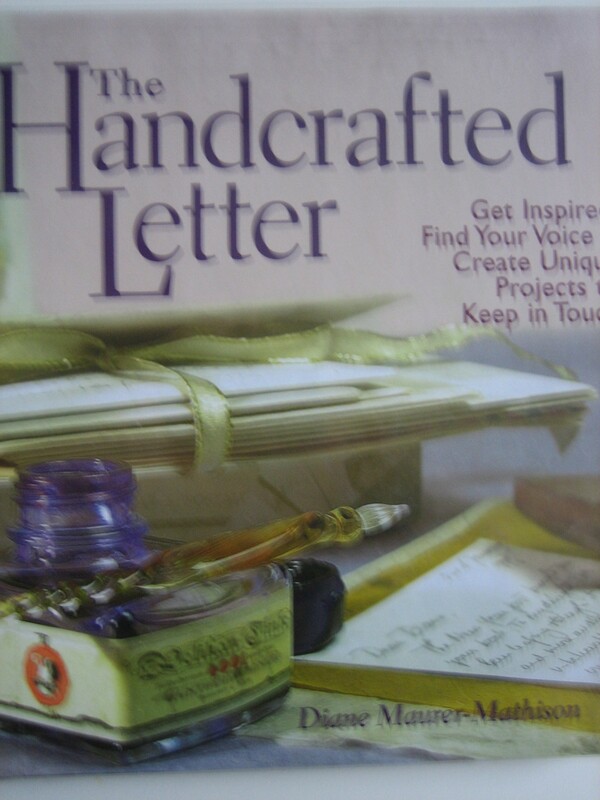 You might enjoy picking up a copy of this book if you need help getting started with your own artful adventure in handcrafting letters. And maybe one of these days my book will be available too. I’ve created a book of handwritten letters “from me to you” – all of you out there – who have a new or old interest in The Art of Letter writing. Each of the letters in my book is handwritten because I want you, the reader, to feel I’m writing just to you – each and every one of you. 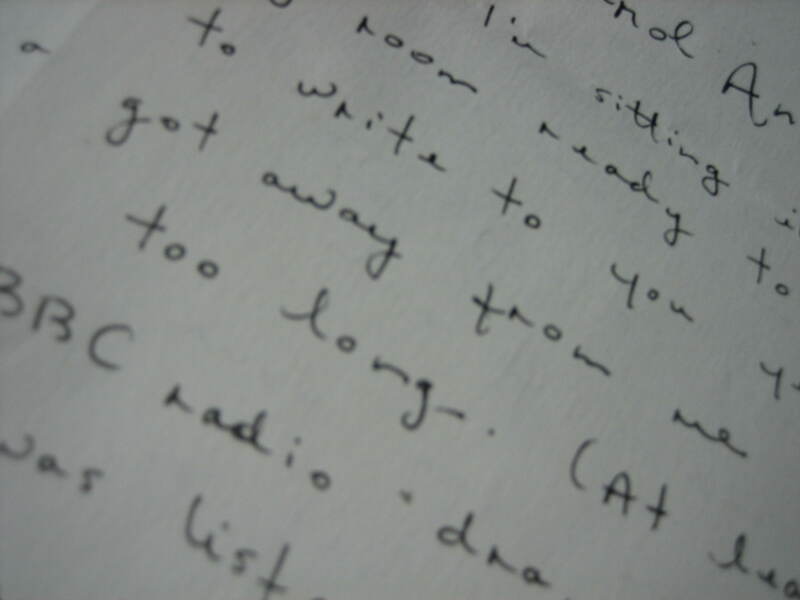 In these letters I discuss how letter writing speaks to the physical, social, intellectual and spiritual aspect of our lives. 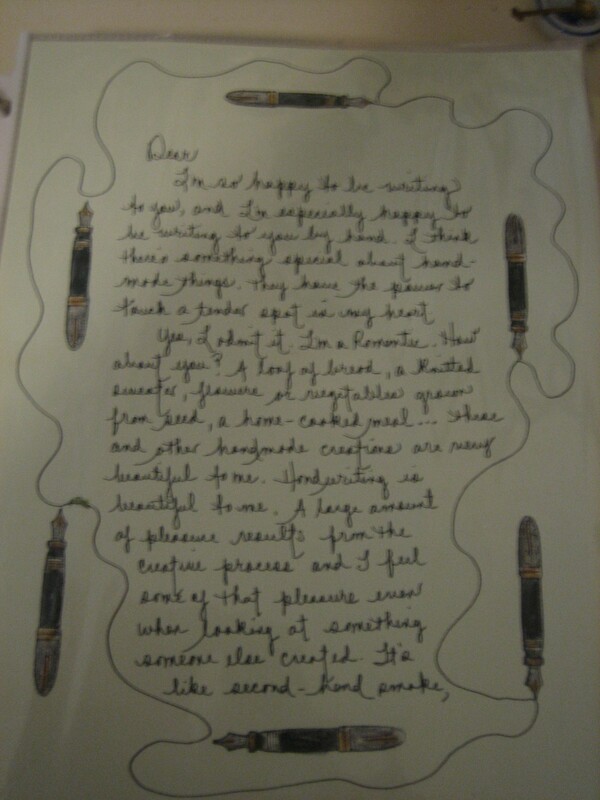 Here’s one of the letters from my book discussing the pleasure of writing with a fountain pen. 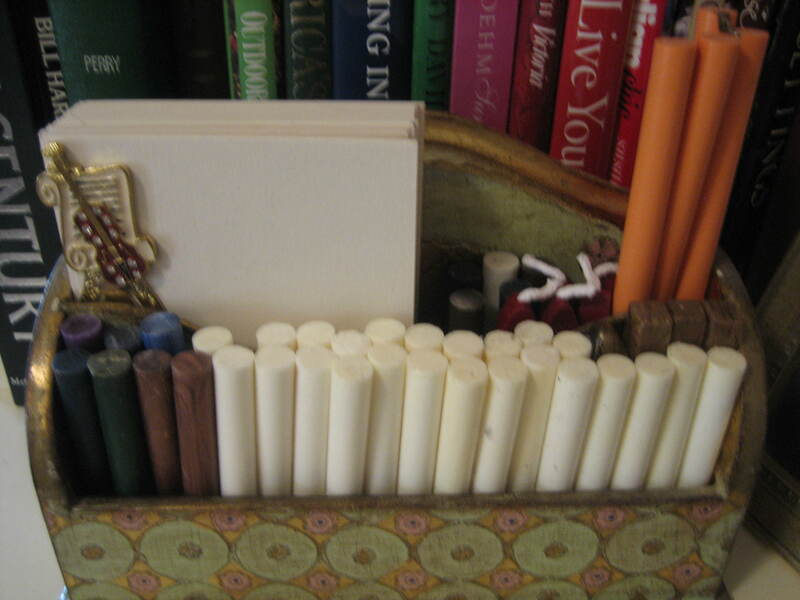 But you may enjoy writing with some other instrument – ballpoints, gel writers, brush pens, whatever. The important thing is that you find the process of writing pleasurable. Your writing instrument will make a difference. 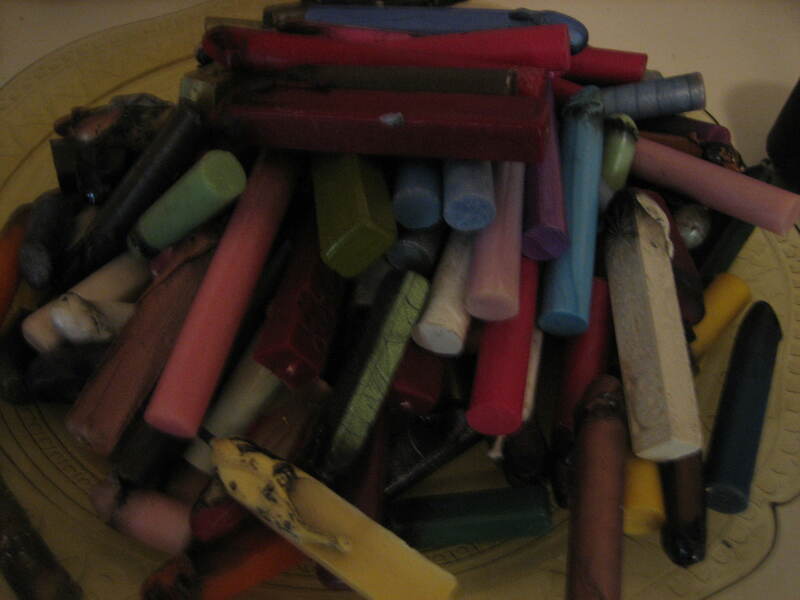 which comes in all sorts of colors, sizes and styles – wicks or no wicks. Some sealing wax holds up much better in the mail than others. I collect it wherever I find it, and believe me, I have quite a collection by now so I can co-ordinate wax colors with my ink and paper colors very easily. It’s fun! 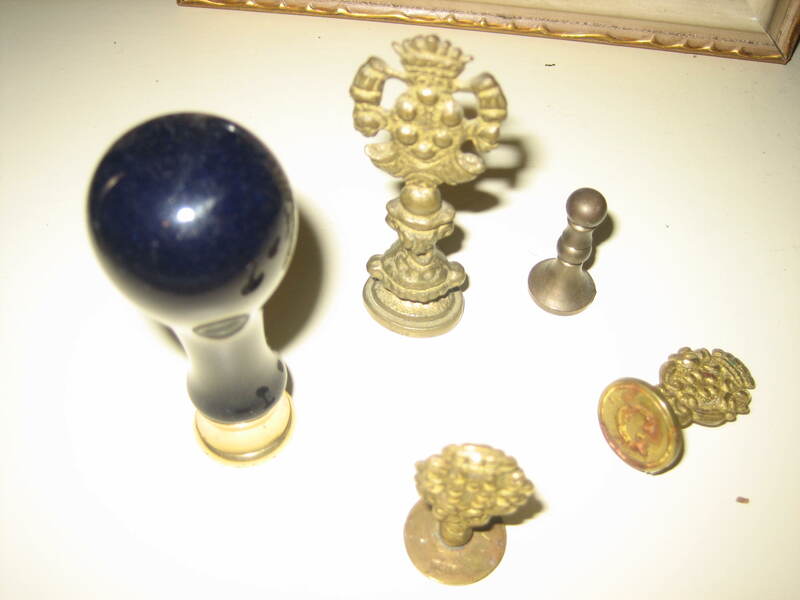 Stamps used with the sealing wax are also fun to collect though they are harder to find. 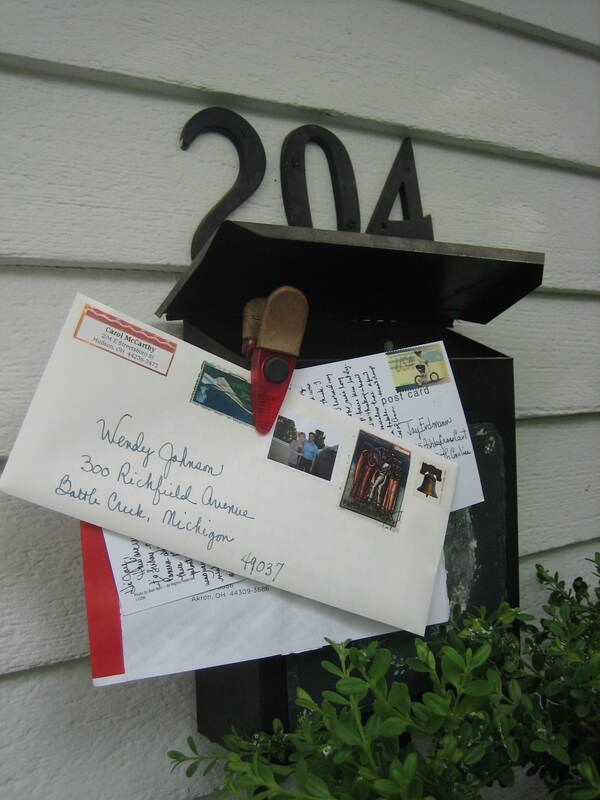 There are so many materials we can use to enhance the look of a letter and the look of our letter envelope. Postage stamps are very artful, not only the U.S. postage stamps needed to pay for letter delivery, but recently I found lots of European vintage stamps that I enjoy adding to my letters just for design fun. 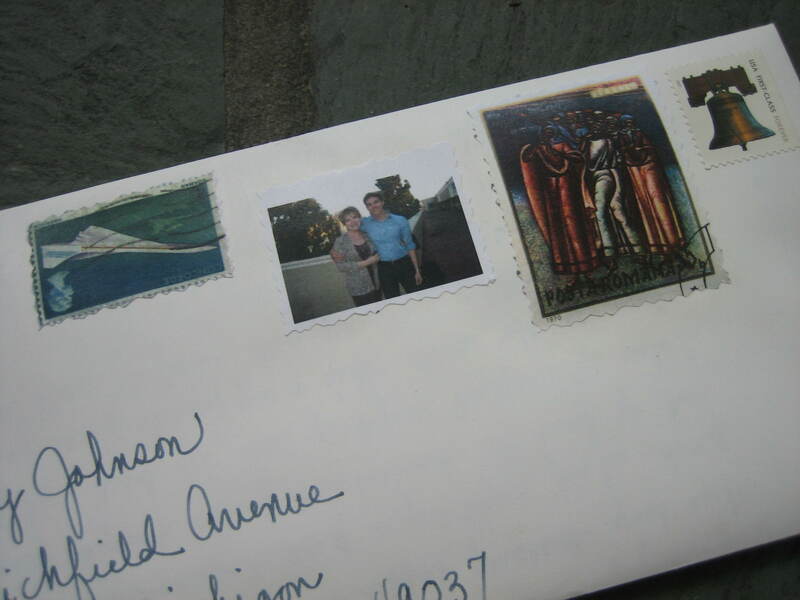 It’s also fun to create little faux postage stamps using photographs. telling of the fun one can have using a little imagination as one family pet writes to another. Letter writing will never die away because it’s just too rich an activity. It really is! It’s expressive, personal and it’s ART! Many people already know this. My pen friend Amy is one of those lucky people. A few of Amy’s lovely letters written just to me! Go Amy! You tell them. Another special letter friend, Janet, shares her love of nature with me in every one of her letters. Photographs are always included – photographs of everything from cats, ducks, sheep, flowers, and trees to creepy-crawly bugs. She wonders, and I wonder, if most people look closely enough at the wonders around them to truly appreciate our world. What do you think? I could tell you about zillions of wonderful people I meet and get to know through letters, people I wouldn’t get to know any other way. I’ll tell you about just one more special lady today. It’s Joy! 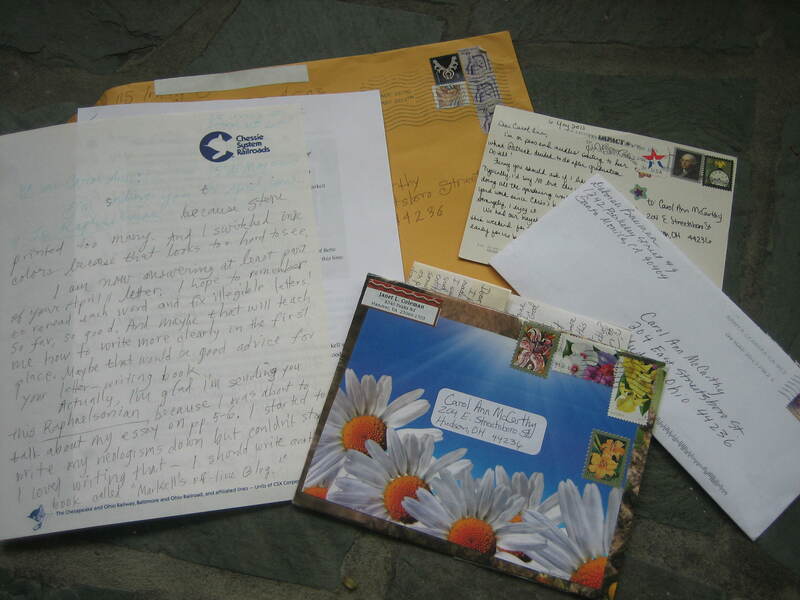 I met Joy through “The Letter Exchange”, my favorite letter writer’s organization. (You can google it). Joy had been living in Switzerland, but now she’s back in the states, in South Carolina to be exact. and her letters are a joy to receive; lovely to behold, artful, and full of caring and sharing. Joy is a very good friend. And letter writing is a very good and worthwhile activity. Is it dead? It’s not dead to me. I hope it’s not dead to you either. Pick up a pen. Write to someone you know. Meet some new people by joining “The Letter Exchange”. Sharing doubles the joy and letter writing is one grand vehicle for sharing . So if you ever hear someone say “The Art of Letter Writing is dead and gone” as I did, please straighten them out for me. Ok? There’s a lot of faulty information floating around. We need to fix that. I’d appreciate your help. It’s Apple Blossom Time for Sharing Tea – Visiting Day! 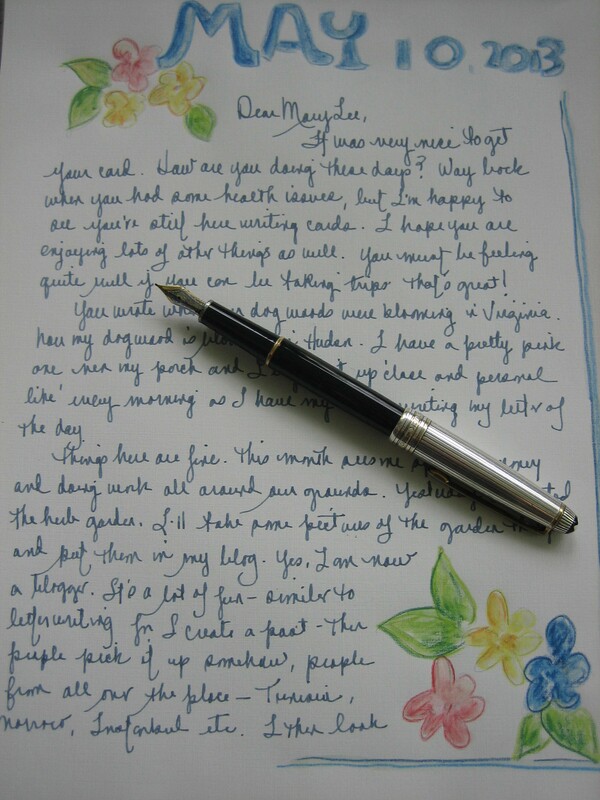 What a wonderful blog on the art of letter writing. I was saying to myself as I was reading “Amen” all the way through. You certainly are a true letter writer and thank you for keeping the joy and delight of letters alive. 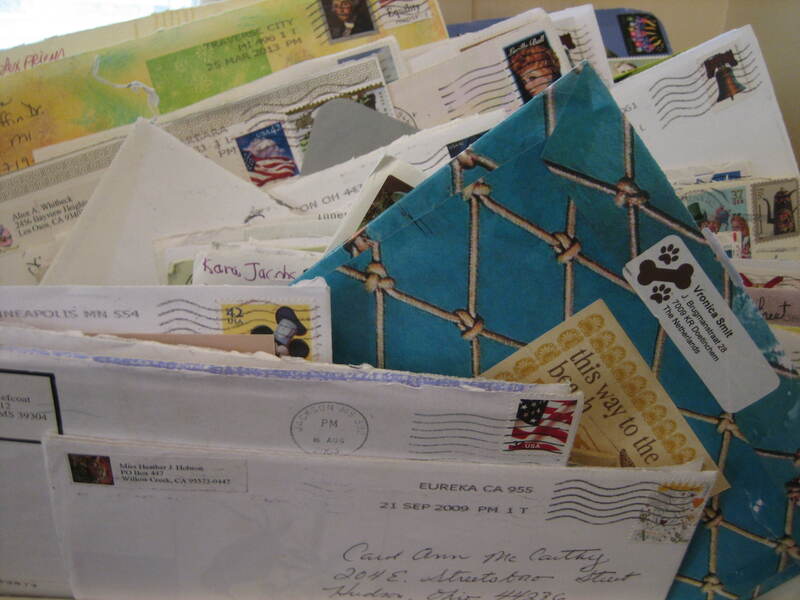 So many of my friends don’t “get” letter writing!! We know that if they ever tried it they would love it. I will have to direct some of them to this wonderful post..
Gwen, you are so right. Your friends won’t know what fun they’re missing till they experience letter writing for themselves You should write them notes. Would they answer you? You write beautifully. By all means send them to me. Do you think they would answer if I wrote them a letter? The answer is always the same – “I don’t have time for that. Email is so much faster.” If I find one that is even half way interested, I will send them to do. Once they get a beautiful letter from you, they will be hooked! You’re so sweet! They’re lucky to have you as a friend. This is such a great post! I love the fact that you write a letter every morning. That’s such a wonderful way to start the day! Thank you for the kind words. Yes, writing a letter first thing every morning really is a great way to start the day. Are you a letter writer too? I always love to make new friends by way of letters so if you ever get the urge to write me I would definitely answer. Thank you for your kind words. 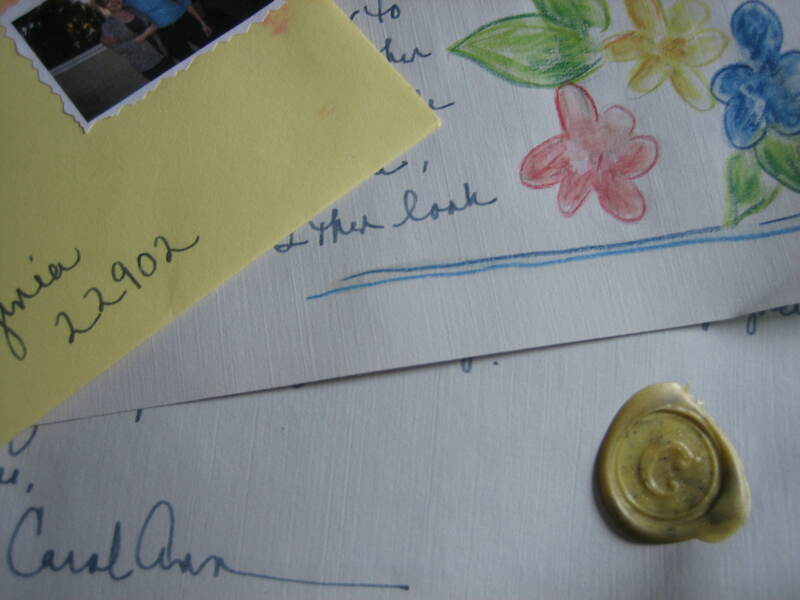 Sharing doubles my joy for The Art of Letter Writing. Are you a letter writer? The art of letter writing is not dead. Sorry it took me so long to thank you for reblogging my post.. I’ll check out tworoots next chance I get. 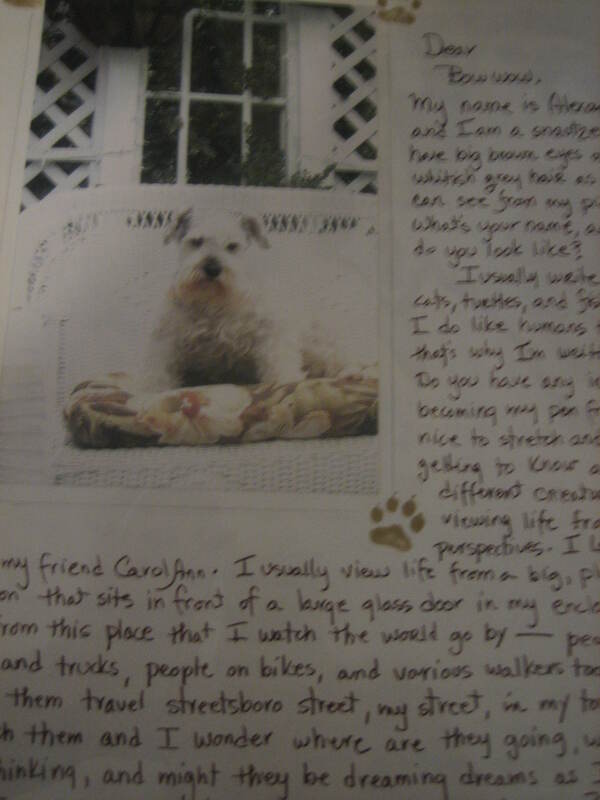 Hi Carol, I like your blog about letter writing and tea. I only wrote you my Lex # 3550 in a letter, because you were a complete stranger. Your blog gives me a better perspective. Mo, I’ve been away so just noticed your note now. Sorry it took me so long to reply. I hope you write me a letter soon or is it my turn to write you? I’m Lex 9367. It’s been a while since I had the opportunity to write a post, but I’ll be having another tea soon to write about. See you in the mail I hope.